【26】(2) Alec Radford, Luke Metz, and Soumith Chintala. Unsupervised Representation Learning with Deep Convolutional Generative Adversarial Networks. CoRR, abs/1511.06434, 2015. 【228】 Rupesh Kumar Srivastava, Klaus Greff, and Jürgen Schmidhuber. Training Very Deep Networks. CoRR, abs/1507.06228, 2015. 【229】(2) Pascal Vincent, Hugo Larochelle, Isabelle Lajoie, Yoshua Bengio, and Pierre-Antoine Manzagol. Stacked Denoising Autoencoders: Learning Useful Representations in a Deep Network with a Local Denoising Criterion. J. Mach. Learn. Res., 11:3371-3408, December 2010. 【230】 Harri Valpora. From neural pca to deep unsupervised learning. arXiv preprint arXiv:1441.7783, abs/1511.06430, 2014. 【231】 Antti Rasmus, Harri Valpola, Mikko Honkala, Mathias Berglund, and Tapani Raiko. Semi-Supervised Learning with Ladder Network. CoRR, abs/1507.02672, 2015. 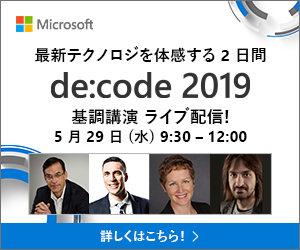 【232】 Mohammad Pezeshki, Linxi Fan, Philemon Brakel, Aaron C. Courville, and Yoshua Bengio. Deconstructing the Ladder Network Architecture. CoRR, abs/1511.06430, 2015. 【233】(2) Kaiming He, Xiangyu Zhang, Shaoqing Ren, and Jian Sun. Deep Residual Learning for Image Recognition. CoRR, abs/1512.03385, 2015.